Everyone wants to own their own gold bars and coins. You only have to open the papers to read that traditional investments are flagging and alternative assets should now play a part in everyone’s portfolio. Of course, it is common knowledge that savvy investors always turn to precious metals during times of economic uncertainty. Well, the global markets have had an unprecedented run – probably the longest spell of economic uncertainty ever since 2008. Well, if you look back at the gold price charts for 2011, you will see that at the peak of the crisis, everyone turned to gold. In fact, gold prices climbed to above $1900 for one troy ounce in August 2011. Apart from the global economic downturn, this period witnessed a tumultuous time in the US economy, as the debt ceiling crisis unfolded. Due to this, investors lost confidence in the US dollar and turned to gold. Well, in the present day, apart from global geo-political tensions, uncertainty continues to rear its ugly head in the form of Brexit, as well as the unfolding US foreign policy. Once again, it’s time to turn to gold bullion, in order to hedge against the risks of a possible downturn in the global capital markets, as well as forex markets. Just as important to know is that physical gold beats paper gold for security hands down. This is simply because paper gold companies often sell off their gold holdings when gold prices take a beating. Ultimately, this undervalues your investment as there is now lesser gold to back up your paper certificate. So, if it’s physical gold that you should be buying, in form of gold bullion, it’s important to find out where one can get the best deals. But where is the best place to buy gold bullion? So where should I buy gold bars and coins? Many people we speak to ask us where the best place to buy gold bullion is and they often mention eBay. Clearly eBay is a wonderful marketplace to pick up some great prices on almost anything you may wish to buy. However I would strongly urge you never to buy gold bullion through eBay. Gold appeals because it reduces your overall risk of being hit by market downfalls and shocks. So why would you want to take on the huge risk of buying from eBay. Unless you have very sophisticated testing equipment, there is no way of knowing the gold is genuine, its purity or quality. You are leaving yourself exposed to fraud. If you are happy that it is the right time to buy then the other consideration is price. Gold is not a great fit for eBay due to the associated PayPal fees. Any seller will have to factor these fees into their gold price and pass them onto yourself. At the other end of the safety spectrum is The Royal Mint. The name itself provides the reassurance that your gold can be trusted and is of top quality and condition. The restriction with this avenue is that The Mint only sells new gold coins (such as the Sovereign), it doesn’t offer circulated coins or gold bullion at all. So if you’re looking for tax free gold coins then The Royal Mint can certainly offer you pretty coins. However, if gold investment is your main driving force, then this is an extremely expensive option. You will essentially be receiving far less gold for your money than if you source the gold elsewhere. You cannot sell the gold back to the Mint so to realise a profit on your gold investment you will need to sell at the prevailing rate to a gold dealer. Paying this initial premium on the gold will severely hamper your returns. However, I’d say that The Mint are a decent source for obtaining presents for family as some of their coins come in wonderfully packaged boxes, albeit at inflated prices. They also offer a huge number of collectors’ editions if that’s your interest. Overall best place to buy gold bullion? at competitive prices and you can also sell back to them when you need? The answer is a UK gold dealer. The best place to start is the British Numismatic Trade Association (BNTA) who registers all the trustworthy gold dealers in the UK. If dealers are a member of this association, they need to adhere to a strict code of ethics and you will have a dispute process should their service and goods fall below this code. Generally, you will have a decent choice of gold bullion and coins with a dealer, depending on their area of speciality. Some may focus on numismatic or collectors coins, while others focus on investment gold coins and bars. Prices are very competitive (particularly for bulk deals) and crucially they may be able to provide access to circulated tax free gold coins which provide the best value of all. You will receive full documentation with any good dealer and even benefit from market guidance on the gold price and types of gold. So next time you’re looking to buy gold, look no further than a specialist gold dealer. 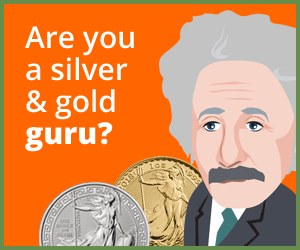 Our investment experts can help you identify a reliable, specialist gold dealer. To speak with our investment experts, please call on 020 7060 9992 or get in touch with us online. Our team of experts are always on hand to assist you in making the right investment decision. It’s the best call you’ll ever make. Also, why not read our beginners guide to buying gold, here? This entry was posted in Blog and tagged buy gold bullion, Gold Coins, Gold Investment.